Timbre began as a hackathon project in 2012. By 2013, it was acquired by Seatwave, a UK-based secondary ticketing exchange company. Today, Timbre’s visually captivating experience is available on the App Store, with plans for an Android release in the future. In addition to the Timbre app, the team has built Timbre Afterparty, a web app focused on post-event sharing and celebration. Users can upload images, review gigs, and share with friends. Additionally, Timbre Afterparty provides the setlist for an event, and then allows the user to replay the setlist through a Spotify plugin. Given the high complexity of pulling information on so many different artists, venues, and shows and linking them with user preferences, Timbre turned to Parse as their backend solution. Parse Core is used to store user preferences, artist images, reviews, and more. To engage with fans, Parse Push has proved exceptionally helpful. Users’ music choices, including artists, venues, and events, are stored in Parse. On a periodic daily basis, Parse is then queried to aggregate event information that is relevant to the user. This information is then sent in a push notification to a music fan, connecting them to what is sure to be a great musical adventure. Our favorite aspect of using Parse is its capability for rapid prototyping with small datasets. Using Parse saved us hosting costs, and I would recommend it to teams that are looking to prototype quickly. 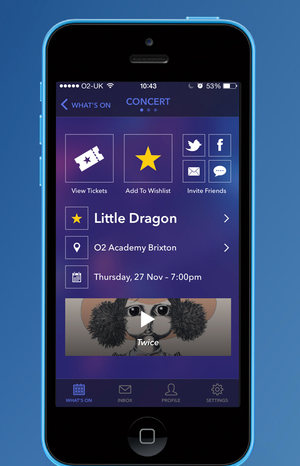 Download Timbre on the App Store today, and never miss out a great show again.